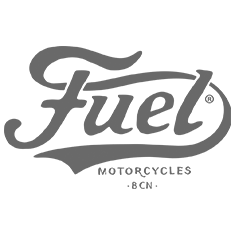 Fuel Motorcycles introduce the Sergeant, a highly functional riding trouser that not only looks like it can take a beating, it performs like it too. The 14.5oz stretch waxed denim outer layer is backed up by an aramid fibre abrasion-resistant layer in the seat and knee areas and they come equipped with CE Level 2 knee and hip armour. The knee armour sits snugly in the outside pockets and can easily be removed when stepping off the bike. There's stretch panels above the knees for extra comfort while riding. Quilting and suede panels give the Sergeant a style of its own. Awesome looking trousers that (strangely) match just about any bike!